How can you tell if your browser is color-managed? I was preparing some files to upload today and was annoyed that the results did not look correct on the web site. After re-running the process and getting the same result I looked a bit further and realised that Microsoft Internet Explorer does not correctly colour manage when displaying images. When I say not correctly, I mean it does sort of handle colour managed files but it does not correctly represent your monitor profile. This issue is really only noticable on high colour gamut displays like the HP DreamColor monitors. 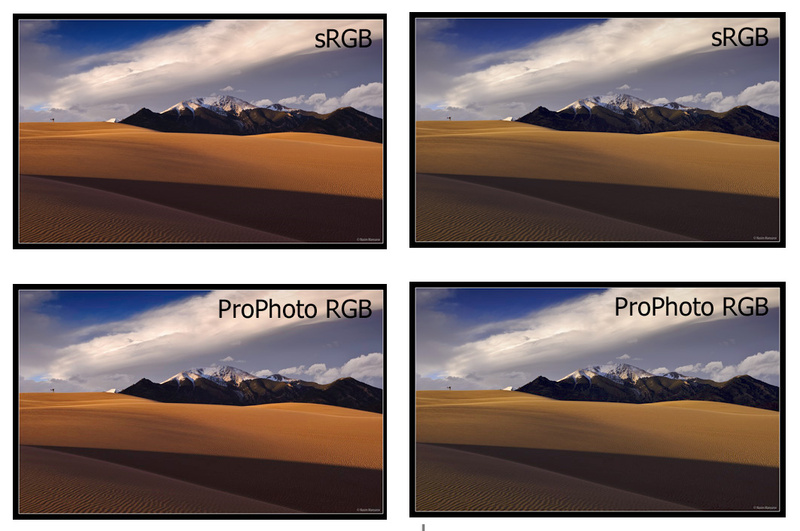 These monitors have a very wide colour range and can display colours way outside sRGB and outside AdobeRGB when they are configured in Native Colour Mode. There are a number of websites that have test images for checking your monitor but this one is a simple check and I can demonstrate the difference between IE and Chrome. As the page says if the two images look different your browser is not colour managed. But look at what IE (on the left) and Chrome (on the right) looks like on my display. I read that the new Microsoft Browser “Edge” is better and I will go check that out. But in the meant time, if you have a high colour monitor try Chrome for viewing images. Especially mine! You might say “why have the monitor in native mode”. The reason is that Epson printers can print colours outside the AdobeRGB range. So I want to see those on my display. I use Zenfolio for my image gallery and note that the slideshow does not display the colours correctly in either Browser. It appears this is due to the slideshow using Flash, and Flash does not colour manage at all. Zenfolio renders all images to sRGB when they are uploaded on the basis that most displays are calibrated to sRGB (or used to be). And here is a more detailed page from a different Website.